List of my consulting engagements, in inverse chronological order. You can filter further by type of client or engagement from the Experience tab above. 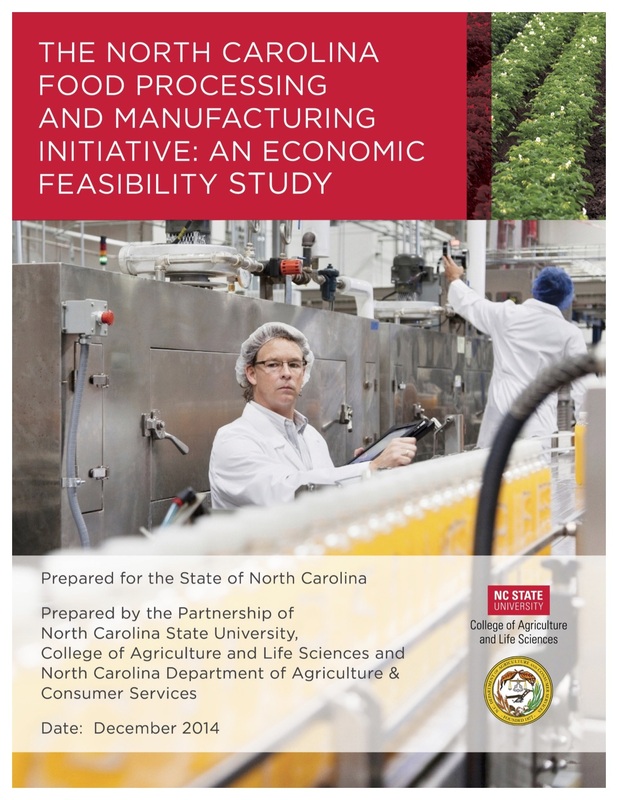 Benchmarked policies, laws, and programs designed to encourage value-added food processing, as part of an unpublished supplement to an economic-impact study of MU Extension. Researched and summarized laws and policies in Arkansas, Indiana, Iowa, and Kansas and also described food innovation center programs at Cornell, Kansas State, Michigan State, Oregon State, Rutgers, and University of Nebraska Lincoln. 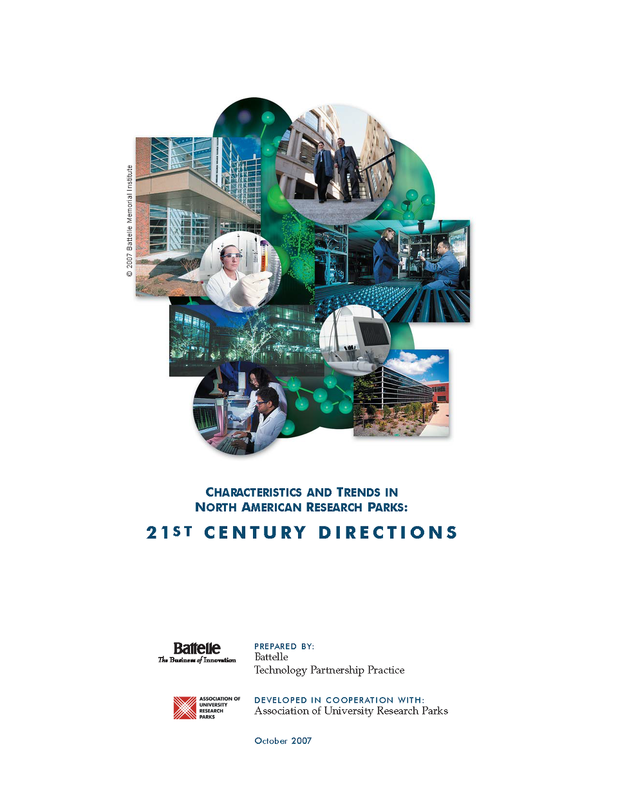 Conducted stakeholder interviews with business incubators statewide and academic laboratories at Harvard (including affilated hospitals) and UMass as part of the first-ever comprehensive evaluation of the Massachusetts Life Sciences Center. Advisor on program development and internal communications to Weill Cornell Medicine’s managing director for BioPharma Alliances and Research Collaborations. Consultancy services related to the modification of technology transfer processes at Czech Technical University in Prague (CTU aka ČVUT), supported under European Union Structural Funds project No. CZ.02.2.69/0.0/16 014 0000650. External reviewer for the Jeff Lawrence Manufacturing Innovation Fund, operated by FuzeHub, a not-for-profit operating a statewide node on the New York Manufacturing Extension Partnership. Latest awards here. Note that as part of each review round, I disclose potential conflicts and may be required to recuse myself if any reviewable proposal has been submitted by a unit with which I have a direct business relationship. Conducted stakeholder interviews with the directors of four state associations which share certain interests with the New York State Economic Development Council (NYSEDC). Wrote an analytical summary of opportunities for alliances between these groups and NYSEDC, for use in strategic planning by the Executive Director and Executive Committee of the Board. Benchmarked a series of major medical-research prizes, and suggested alternative methodologies for sourcing candidates, as part of a project by TEConomy Partners to advise a health-system foundation on a contemplated new prize. Subcontractor to the NYU Wagner School on major grant from U.S. EDA to Wagner, ICMA, and JFF to assist in coordinating and harmonizing approaches to economic development across federal agencies. The project is intended to yield a one-stop platform to help communities make more effective cases for integrated federal support of complex regional partnerships for economic development. Key advisor/seed-round-investor in DirectDep, a cloud platform enabling lawyers and their staffs to book individual court reporters for depositions in real time, with many time-saving and quality improvement features enabled by the technology. Advisor to the NYU Wagner Innovation Labs on a report on cities and anchor institutions prepared by Neil Kleiman and his colleagues for the National Resource Network. Work delivered as a subcontractor to the Center for an Urban Future. Cover page of NRN report. For full report, click image. ‘Pitch Prep’ coach, readying clients of WNY Innovation Hot Spot for their presentations to the semifinal round of the 43North business plan competition (an element of Gov. Cuomo’s Buffalo Billion program). Background here. Member of a Technical Evaluation Panel (specifics subject to a confidentiality and non-disclosure agreement) convened by the New York State Energy Research and Development Authority (NYSERDA). 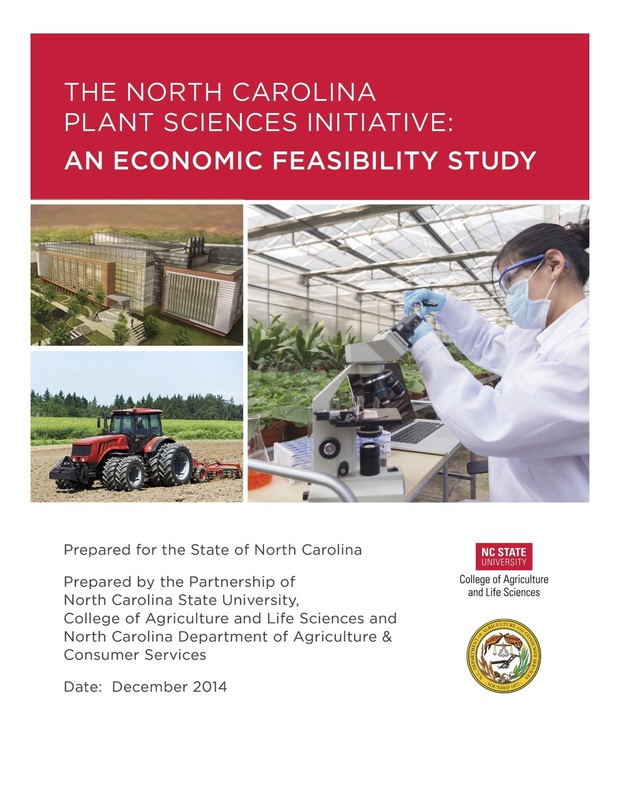 Benchmarked six centers at leading universities elsewhere in the nation as part of a project to plan initiatives in both plant sciences and food processing at North Carolina State University College of Agriculture and Life Sciences in partnership with the North Carolina Department of Agriculture and Consumer Services. Consultant to the Data Science Institute, Columbia University, helping draft its contribution to the overall strategic plan of the Fu Foundation School of Engineering and Applied Sciences. Key advisor/seed-round-investor in Calcbench, a startup that leverages the extensible business reporting language (XBRL) to provide advanced analytics on reports made by publicly traded companies to the U.S. Securities and Exchange Commission (SEC). Performed extensive data analysis and benchmarking on competing university efforts in Big Data science in preparation for The Ohio State University’s issuance of a call for proposals through its Discovery Themes competition. Benchmarked globally prominent agbioscience research institutions and regional competitors as part of a strategy project for La Trobe University and its R&D partner, the State of Victoria (Australia) Department of Primary Industries. Advisor in Community and Economic Development to the Innovations in American Government Awards Program at the Ash Center. 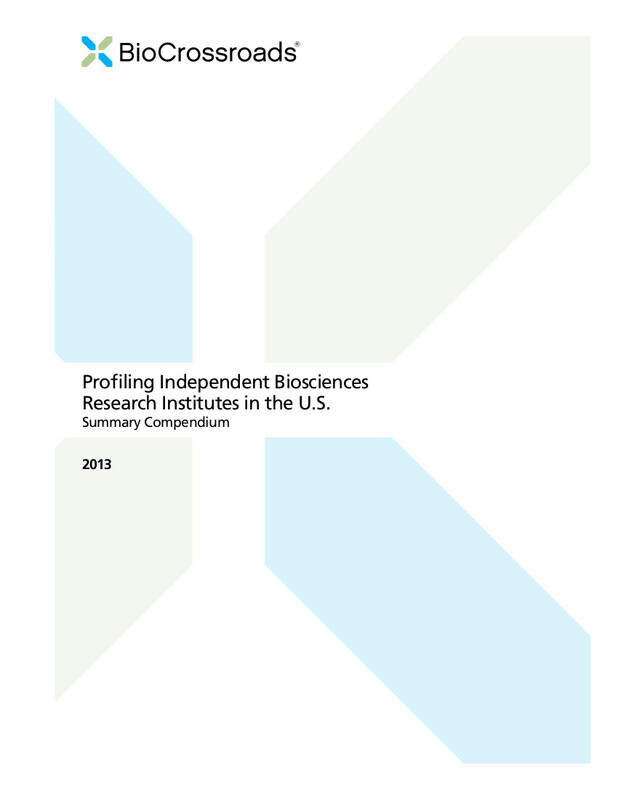 Benchmarked five major bioscience R&D institutes and several smaller programs for Indiana BioCrossroads (a cluster project of the Central Indiana Corporate Partnership) as part of a strategy project to design what became the Indiana Biosciences Research Institute. Conducted extensive stakeholder interviews with startup companies as part of a broader project for the (former) Louisiana Economic Development on how to pursue “blue sky” sectoral strategies in areas with limited competition. Benchmarked the strategies of three other states that, like Nebraska, were considering integrating to some degree their departments of commerce or economic development and labor or workforce development. Consultant to the Research Foundation for the State University of New York on innovation and economic development programs. Consultant to Gulf Power (a unit of the Southern Company) on technology-led economic development strategic planning for Pensacola, Florida. Consultant to Edelman public-relations firm and its affiliate BioScience Communications, providing competitive intelligence they needed for a client in the research-institute sector. Contractor to New York State Energy Research and Development Authority (NYSERDA) for a stakeholders’ analysis on NYSERDA’s Saratoga Technology + Energy Park. Mentor/coach, NYU Stern School of Business/Berkley Center $200k Entrepreneurs Challenge business-plan competition. Subcontractor to Public Works Consulting (now Public Works Partners) on a significant program-design and grant-writing engagement for a major research university based in New York City. Advisor/mentor to SOFIns, a startup providing secure remote-management services by which non-technical users can obtain advanced services from remote experts. 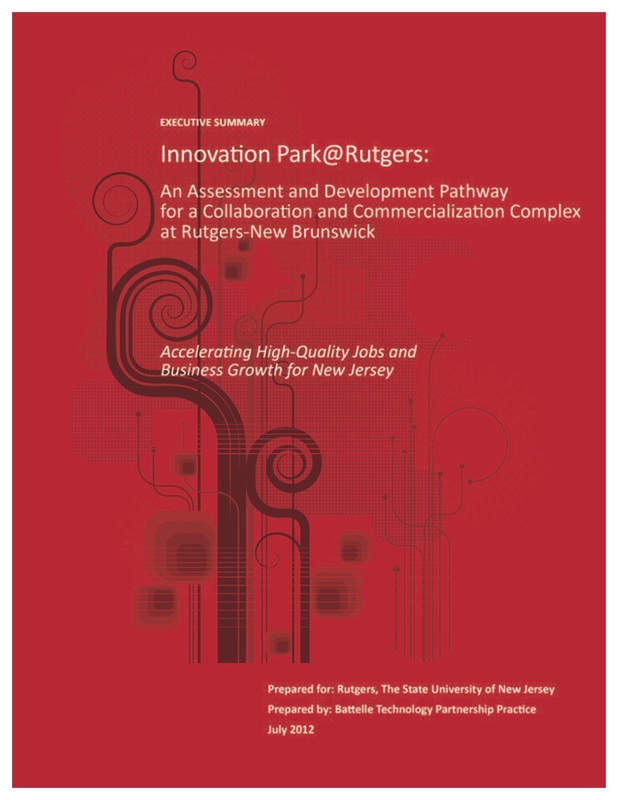 Benchmarked five university-related research parks as part of a project to guide Rutgers University in reinventing its Livingston Campus as an Innovation Park. 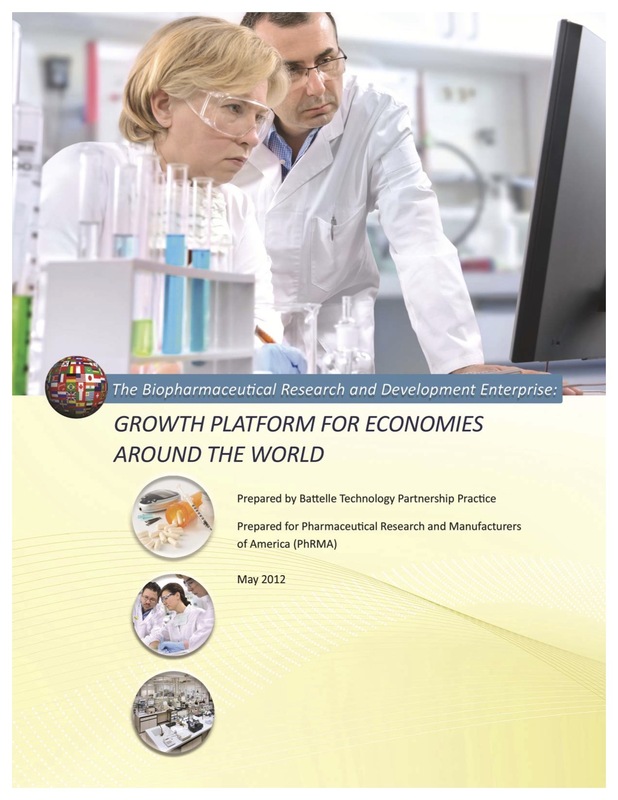 Benchmarked bioscience sectoral development strategies in 23 non-U.S. nations in a project on “growth platforms for economies around the world” for the Pharmaceutical Research and Manufacturers Association (PhRMA). 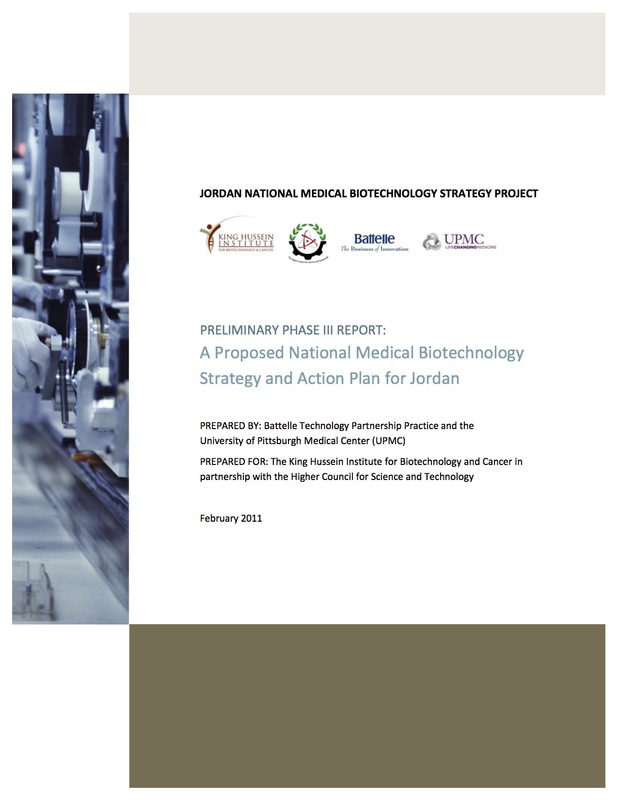 Benchmarked four national biotechnology strategies as part of a “Proposed National Medical Biotechnology Strategy and Action Plan for Jordan” cowritten by Battelle and UPMC. External reviewer for six innovation programs funded by Orange County (Florida) at the University of Central Florida, on a two-part technical-assistance project funded by Living Cities. 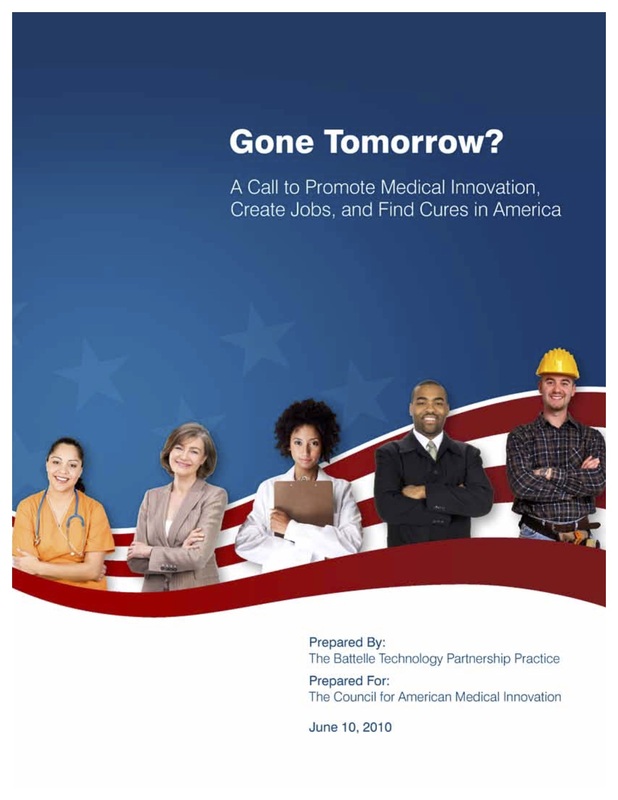 Conducted in-depth stakeholder interviews on possible reforms in the drug development pipeline as part of a project for the Council on American Medical Innovation, including also assessment of mechanisms used in other nations to promote biomedical innovation. 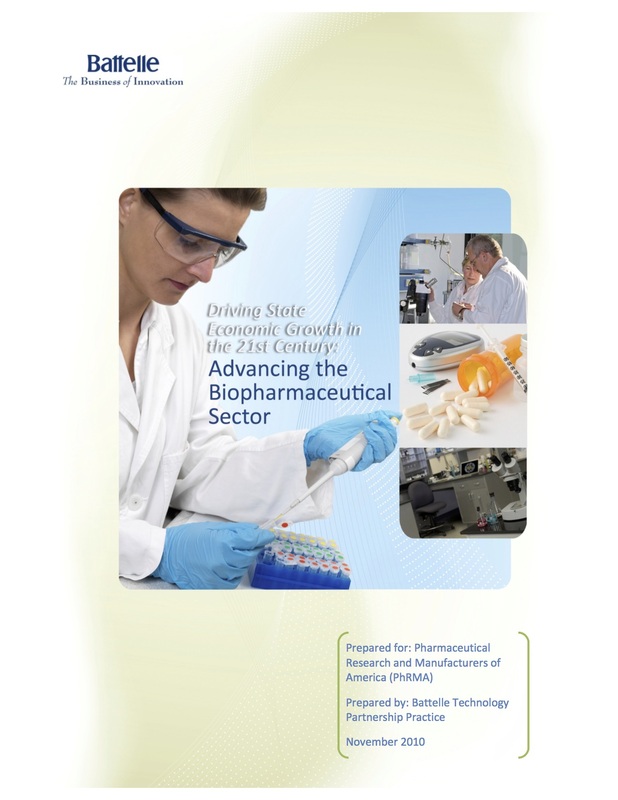 Benchmarked bioscience cluster development strategies in more than 30 states as part of a project on “driving state economic growth” for the Pharmaceutical Research and Manufacturers Association (PhRMA). Consultant to the Director of Policy and Research, Living Cities, preparing a “blueprint” on urban economic-development issues as part of reconfiguration of the organization’s programs. 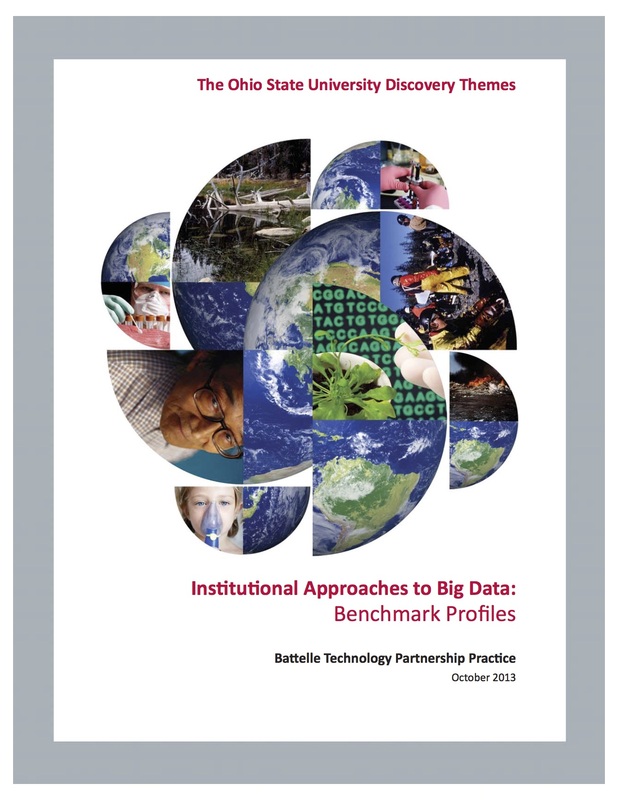 Benchmarked five state-supported eminent scholars programs for the Arkansas Research Alliance, in a project conducted through my affiliation with the Battelle Technology Partnership Practice. As part of an assessment of the potential for the Tennessee Valley Authority to contribute to development of value-added R&D in the automotive sector, benchmarked six in-region university efforts in automotive technology R&D. 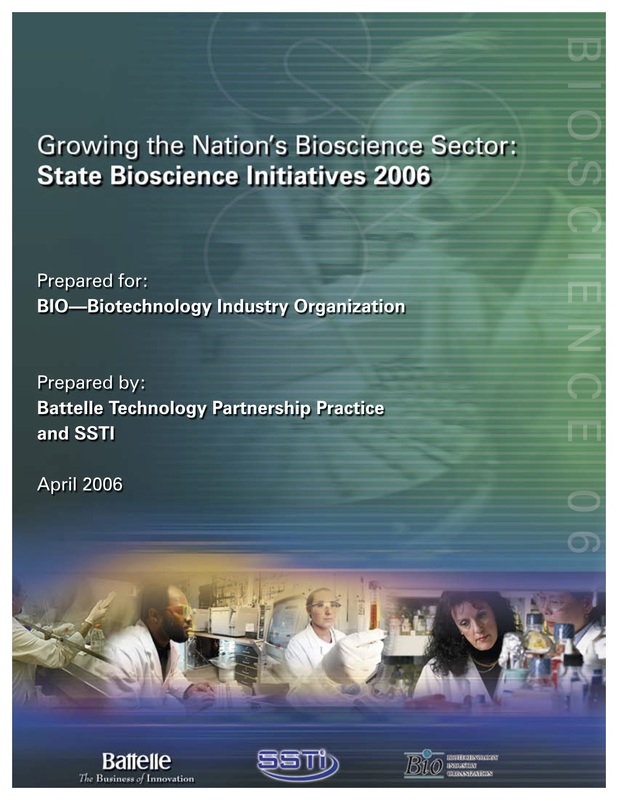 Researched national best-practice lessons in each of the programmatic areas being developed in a broader strategic project for Maryland Technology Development Corporation (TEDCO) on behalf of the (former) Governor’s Life Sciences Advisory Board. External Reviewer for the CUNY Institute for Software Design and Development (CISDD), reporting to the Vice President for Research at the Graduate Center of the City University of New York. 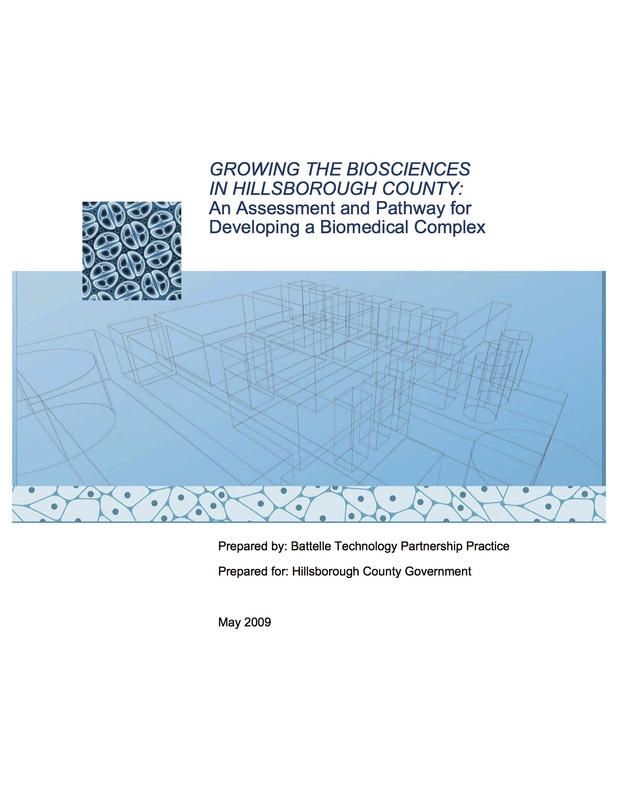 Benchmarked seven research parks/innovation districts around the nation as part of a project for Hillsborough County (Florida) to envision a research park adjacent to the University of South Florida in Tampa. Benchmarked a dozen military base-closing/re-use processes as part of a Battelle Internal Research and Development (IRAD) project to develop automated tools for use by the company’s defense-business sector. Advisor on first-year reporting to the NSF Engineering Research Center for Mid InfraRed Technology for Health and the Environment, School of Engineering and Applied Sciences at Princeton University. Advisor to the Office of the Dean, Fu Foundation School of Engineering and Applied Sciences at Columbia University, regarding SEAS presentation to the Columbia Board of Trustees. Advisor to the Office of the University Dean (now Vice Chancellor) for Research, City University of New York, regarding CUNY’s participation in the New York State Commission on Higher Education. Conducted extensive analysis of USDA data to benchmark the agricultural research enterprise at Oklahoma State University against those of seven peer-competitor universities. Conducted extensive local stakeholder interviews and benchmarked Syracuse against five regions with similar strategies for in the energy and environmental cluster, as part of a broader project for the Metropolitan Development Alliance of Syracuse and Central New York (now CenterState Corporation for Economic Opportunity) resulting in creation of the “Greencore” strategy. Conducted benchmark interviews with leaders of 10 world-leading research parks, as part of a first-of-its-kind study for the Association of University Research Parks. Benchmarked strategies in all 50 states for development of alternative energy sectors as part of an Internal Research & Development (IR&D) project at Battelle. Benchmarked metropolitan-region strategies for bioscience development as part of an Internal Research and Development (IRAD) project at Battelle, designed to complement Battelle’s biannual survey of state-level strategy and build further business with the Biotechnology Industry Organization (BIO). Advisor to New York University’s College of Nursing Office of the Dean; and to the College’s John A. Hartford Foundation Institute for Geriatric Nursing; and to the Institute’s Nurse Competency for Aging project funded by the Atlantic Philanthropies. As part of planning for physical development of the University of Southern California (USC) Health Sciences Campus, benchmarked six other urban research parks. Executive Director (founding), Business Incubator Association of New York State, Inc.
Benchmarked the commercialization strategies of six university-based programs in a project for the Iowa State University College of Agriculture and Life Sciences, the Center for Crops Utilization Research. Benchmarked eight regional strategies for economic development based on advanced logistics as part of a strategy project for CompeteColumbus. Benchmarked eight centers supported through the NSF’s Advanced Technological Education (ATE) program as part of a broader project for Maricopa County Community Colleges to strengthen curricula in sectors targeted for economic development in Arizona’s advanced-manufacturing roadmap. 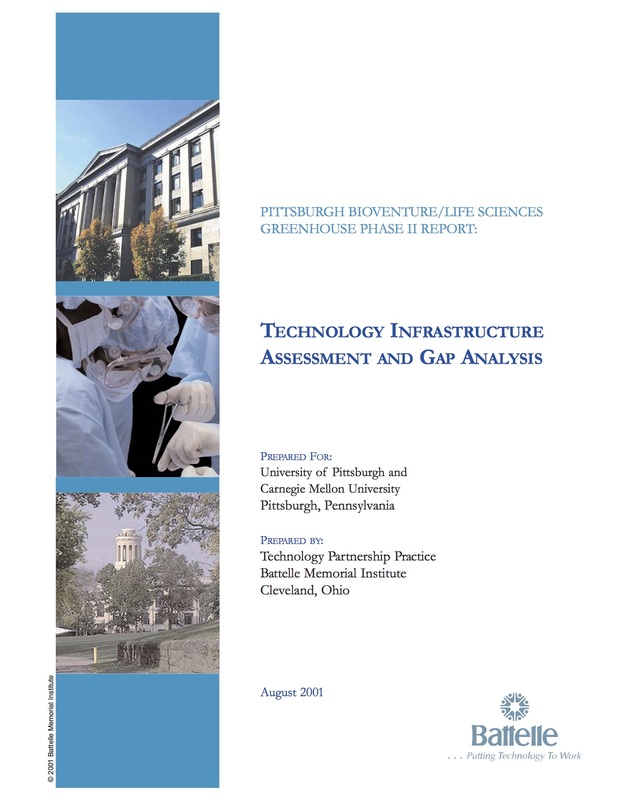 Conducted extensive stakeholder interviews as part of a broader project for the Ben Franklin Technology PArtners of Southeastern Pennsylvania, intended to provide strategic vision to its Mid-Atlantic Nanotechnology Alliance (MANA) funded under a U.S. EDA award. 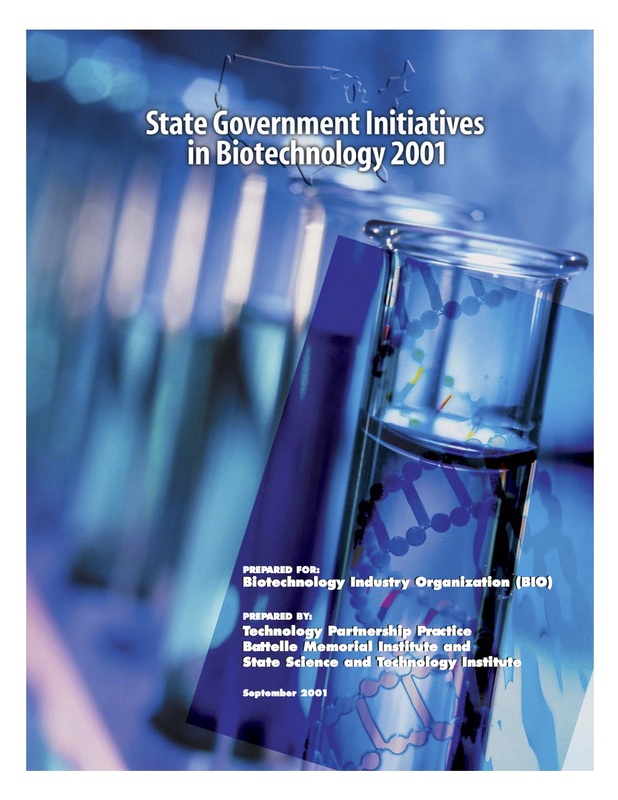 Benchmarked multiple state strategies to promote the formation of bioscience-focused university research parks in a project for the Georgia Research Alliance. 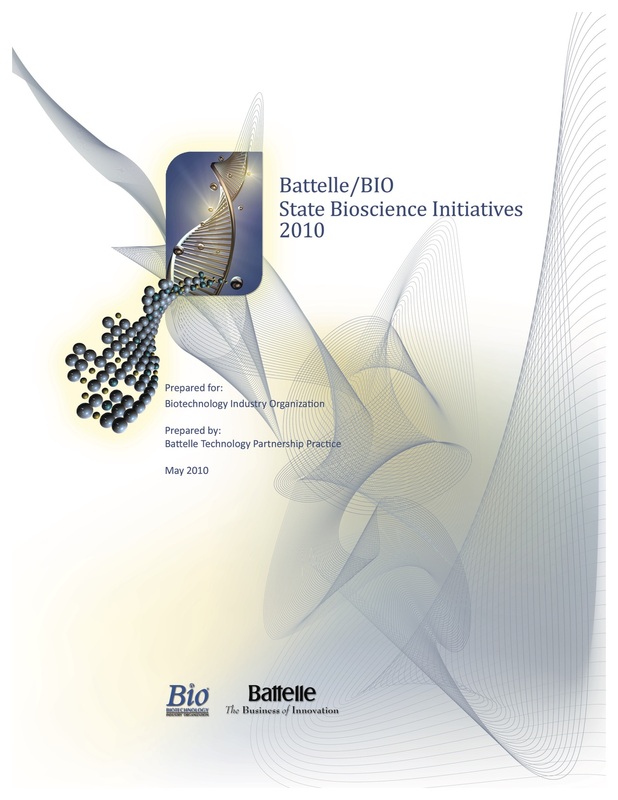 Followed on a general bioscience strategy survey four years earlier. Benchmarked for Black Hills (South Dakota) Vision three consortial R&D efforts in multiscale materials science and three more in bioproducts/bioprocessing. Benchmarked seven biomedically oriented university research parks in a project for Georgetown University/MedStar to envision a Bio-Tech Research and Development Park at the Washington Hospital Center. 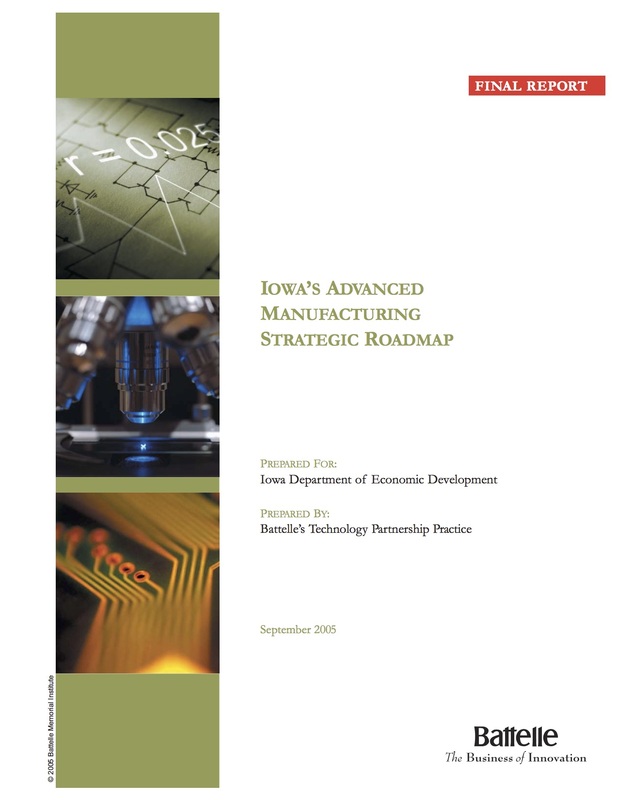 Benchmarked a dozen state strategies for development of clusters in advanced manufacturing and information technology, in a project for the State of Iowa. Project staff for for the Industrial and Technology Assistance Corporation (ITAC) in conducting a review of business incubators in NYS, funded by the Alfred P. Sloan Foundation and NYSTAR. 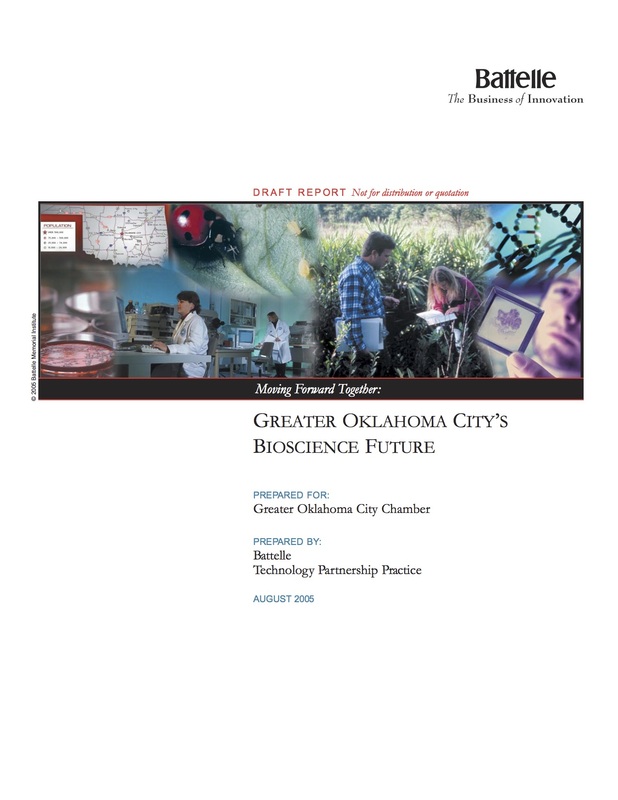 Benchmarked six regions around the nation with bioscience development strategies as part of a broader strategy project for the Greater Oklahoma City Chamber of Commerce. Benchmarked seven university-based translational-research initiatives for the Arizona Biomedical Research Commission. Project staff for Center for Economic and Environmental Partnership Inc. (CEEP) in managing a Network of Economic Development Officers in NYC Knowledge-Based Institutions, funded by the Alfred P. Sloan Foundation and sponsored by the New York State Foundation for Science, Technology and Innovation (NYSTAR). At the request of the Technology Alliance in Washington State, benchmarked the way private foundations in six other regions were contributing to state-level initiatives for biomedical research. Benchmarked for Georgia State University six university research parks with economic-development facilities, as part of a project to plan a bio-incubator in Georga State’s own science park. 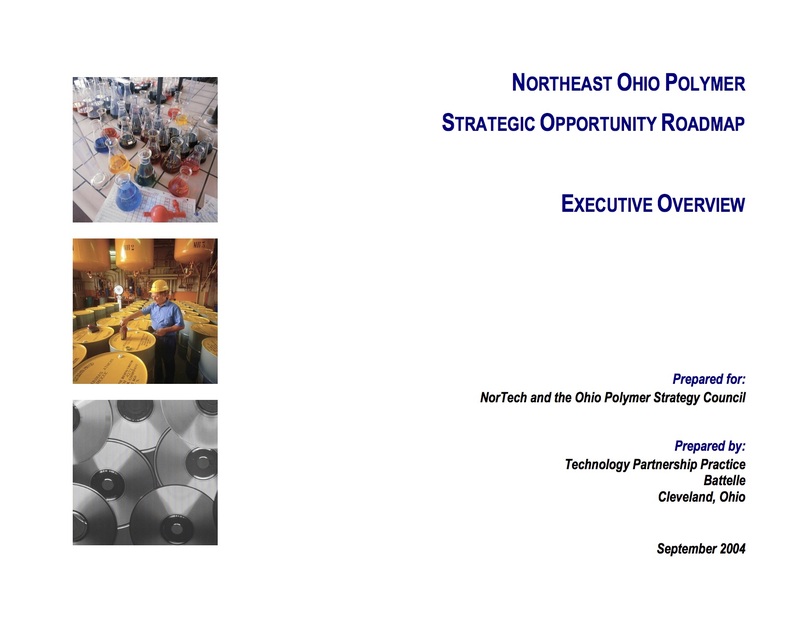 Benchmarked five university-based programs to connect advanced polymer research with industrial practice, as part of a broader strategy project for PolymerOhio and (the former) Nortech. Benchmarked civic leadership-development programs in six regions for the Flinn Foundation (Phoenix), as part of a project to reposition its statewide grant-making in this area. Overall project resulted in creation of the Arizona Center for Civic Leadership. 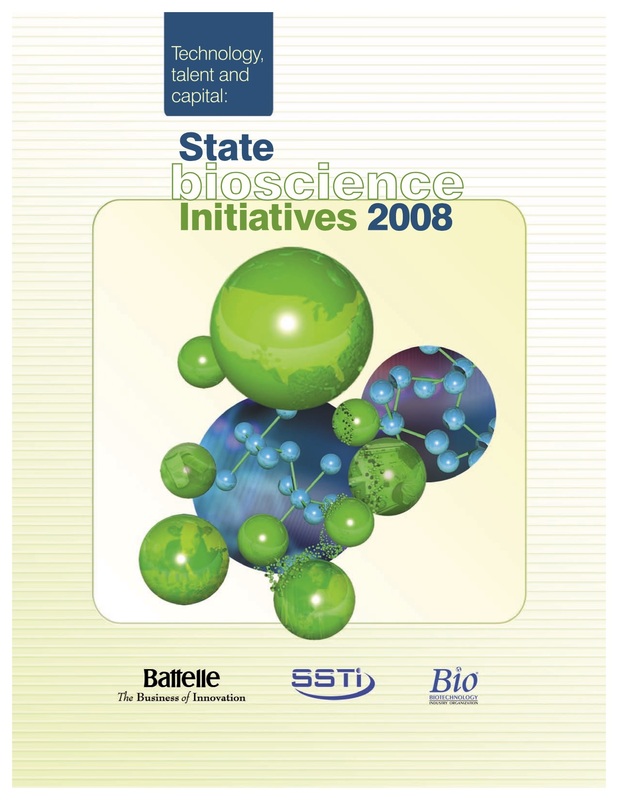 Researched and wrote benchmark profiles of bioscience cluster-development programming in more than half the states for successive editions of a state-policy survey document published regularly by the Biotechnology Industry Organization (2001, 2004, 2006, 2008, and 2010). 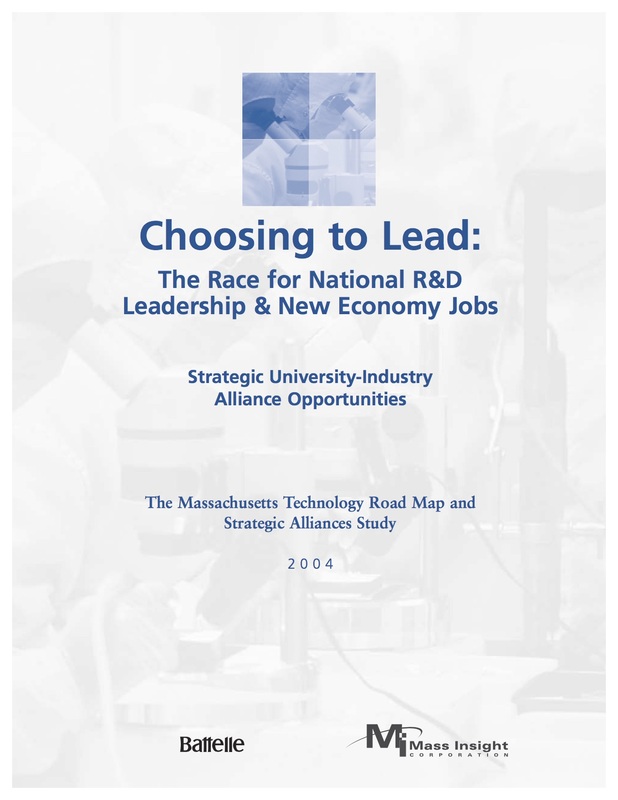 Benchmarked the strategies of four competing states as part of a broader project to assist Mass Insight in developing strategic alliances and roadmaps for the Commonwealth’s critical technology sectors. Benchmarked 13 university-based programs nationally in fields being considered as “platforms” by the state bioscience-development programs of the Flinn Foundation (Phoenix). Benchmarked five regional arts and culture strategies for the Flinn Foundation (Phoenix), as part of a project to re-orient the foundation’s arts & culture programming so it could better support regional strategy. Benchmarked seven similar mid-sized industrial cities as part of a broader strategy for the Metropolitan Development Alliance of Syracuse and Central New York (now the CenterState Corporation for Economic Opportunity). Benchmarked six state-government-backed sustainability-sector initiatives as part of a larger design project for the Arizona Department of Commerce. Benchmarked university research parks in six regions as part of a state-sponsored strategy project for East Baltimore Development Incorporated, resulting in strategy for a research park adjacent to The Johns Hopkins University medical campus. Surveyed the strategies used by various U.S. states to finance university-research initiatives and seed-stage venture-investment funds, in a project for the Central Indiana Corporate Partnership. Special focus on deployment of dedicated lottery and tobacco-settlement revenues. 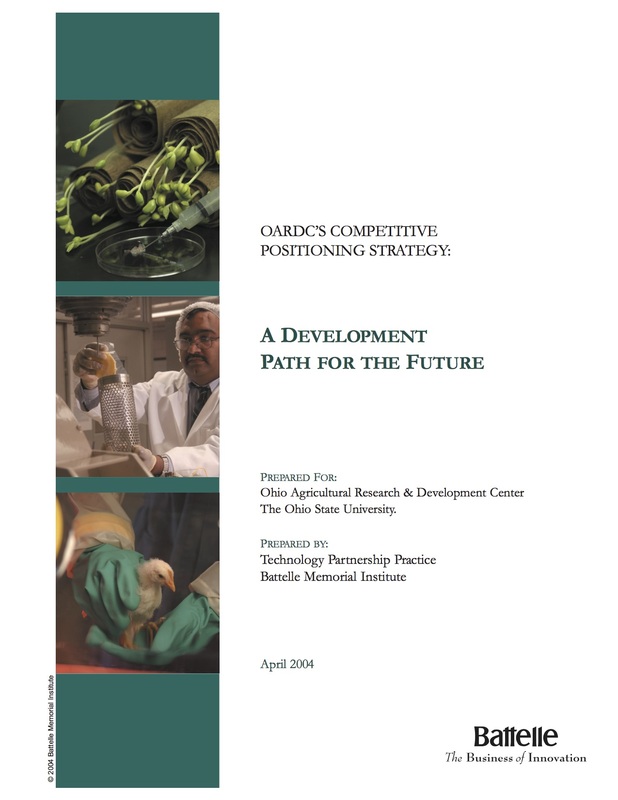 Benchmarked six research parks based on agricultural research, as part of a broader strategy project for the Ohio Agricultural Research and Development Center (the OSU agricultural science campus at Wooster) to develop what has become the BioHio Research Park. 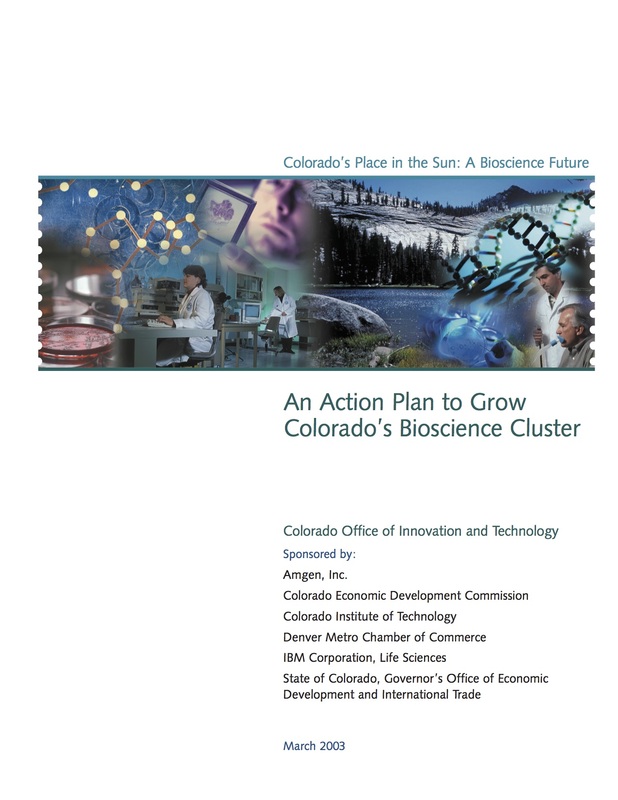 Conducted benchmarking and stakeholder interviews as part of a broader effort to develop a state bioscience cluster strategy, performed for the (former) Colorado Office of Innovation and Technology. 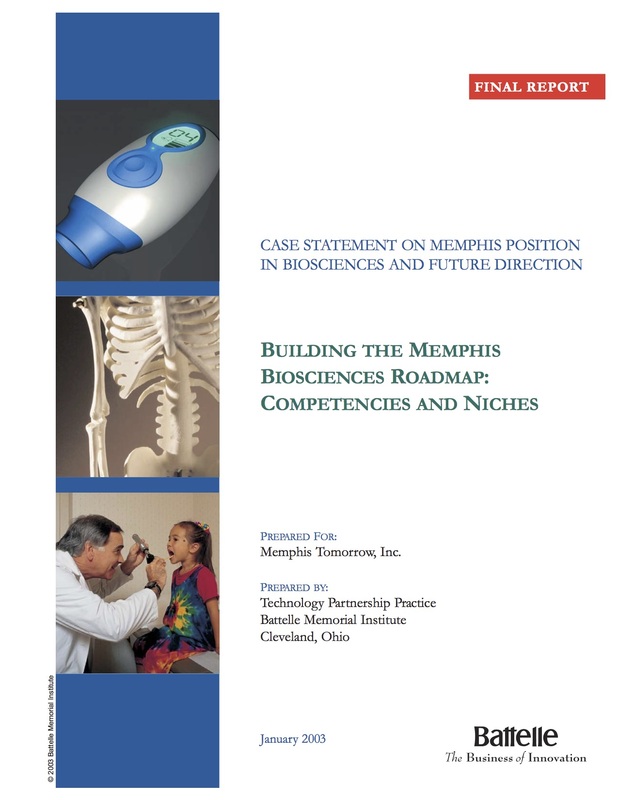 Benchmarked eight competing regions with bioscience strategies built around downown medical districts and research parks, as part of a broader strategy project commisioned by Memphis Tomorrow on behalf of the (former) Memphis Biotech Foundation (now Bioworks). 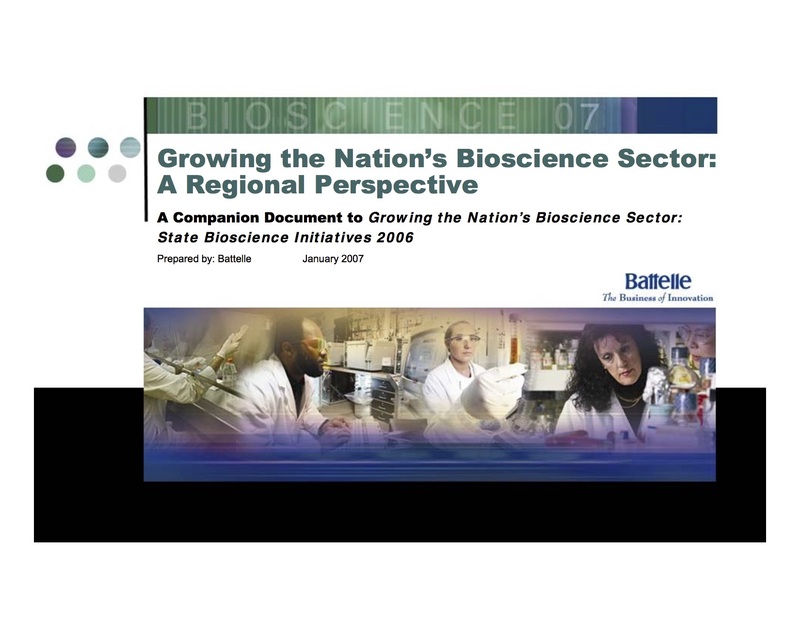 Conducted extensive in-field stakeholder interviews as part of a bioscience cluster strategy for the Bio Economic Technology Alliance (BETA) hosted by the Economic Development Council of Western Massachusetts. Conducted extensive interviews with the board and stakeholders of the Flinn Foundation (Phoenix), over a multiyear period, to assess prospects for re-aligning the Foundation’s investment program to support its programmatic efforts in bioscience development. 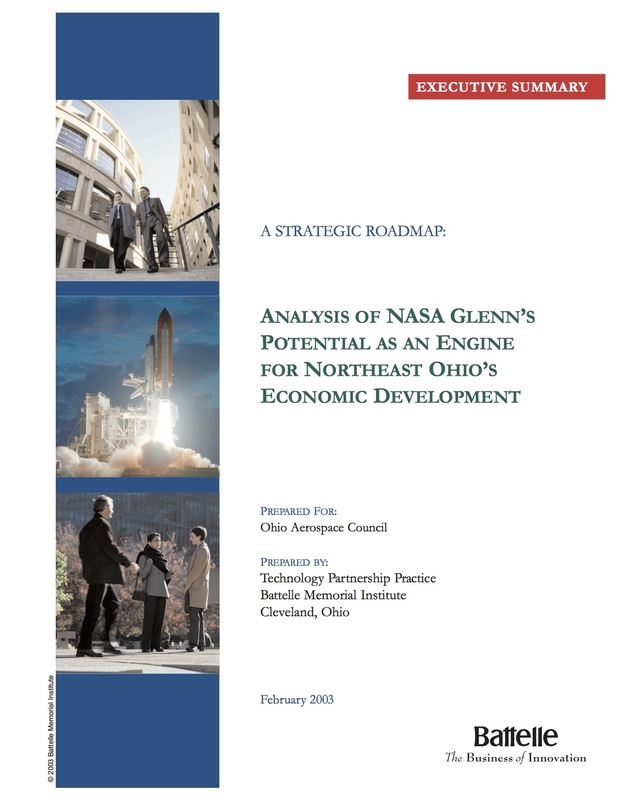 Benchmarked the interface between seven federal laboratories and their respective state-level initiatives in technology commercialization, as part of a broader project for the Ohio Aerospace Council, envisioning the sector’s future relationship with the NASA Glenn Center in Cleveland. Benchmarked leading national programs in genetic epidemiology as part of a project to assist MetroHealth system in Cleveland (a teaching affiliate of Case Western Reserve University School of Medicine) in expanding its capacity for translational research. Benchmarked the solutions used by 10 universities to connect split campuses, in a project for the Portland Development Commission, ultimately informing plans for the Portland Aerial Tram. 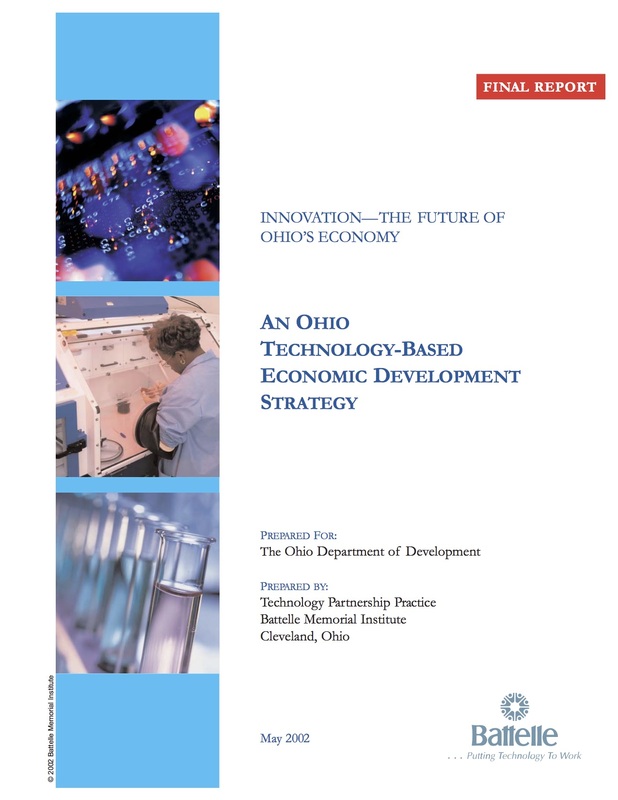 Benchmarked six state strategies for science and technology-based economic development in a project for the (former) Ohio Department of Development that was designed to indicate a statewide strategy for Ohio. 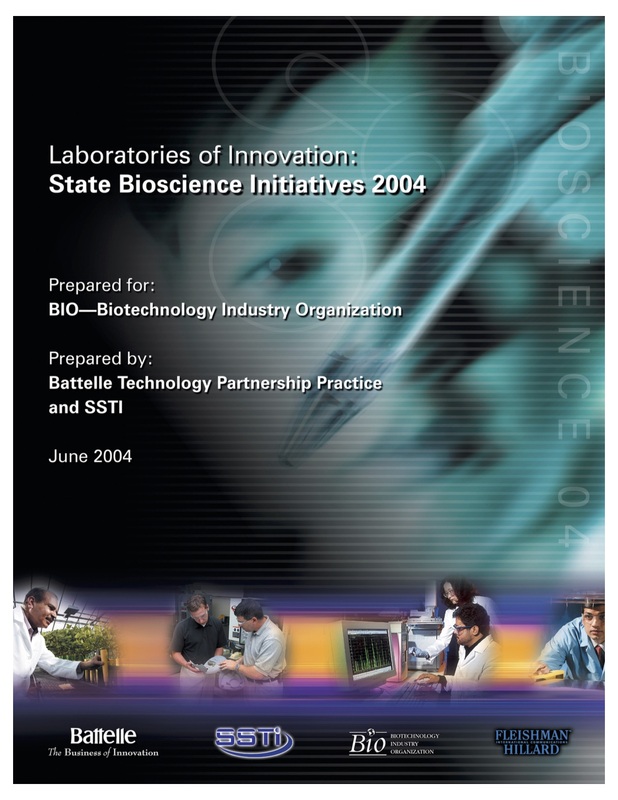 Benchmarked seven state bioscience strategies (and their relationship to the largest cities in each state) and nine “captive” university technology-commercialization funds, as part of a statewide strategy for biosciences developed for the State of Missouri and commissioned by the Danforth and Kauffman Foundations. 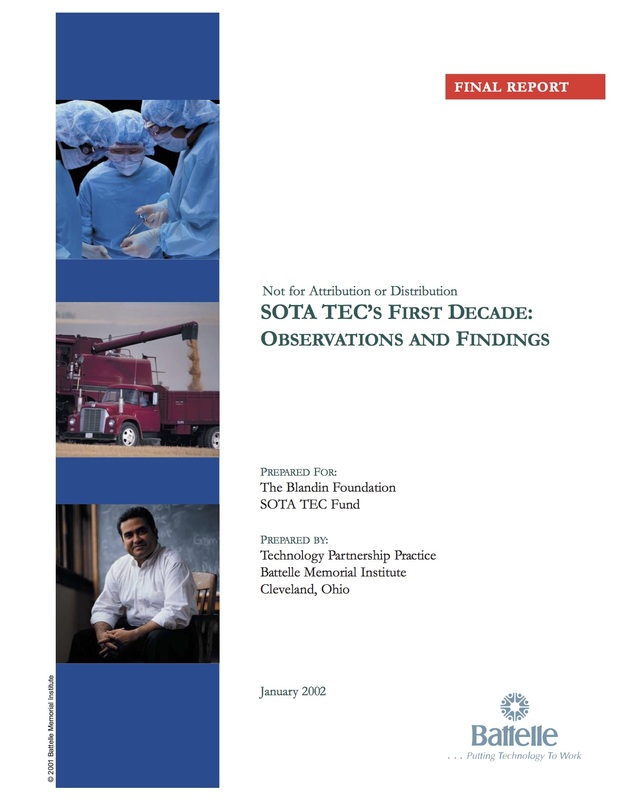 Conducted a program review for the Blandin Foundation of the SOTA TEC Fund, an entity intended to commercialize technologies developed at University of Minnesota for the benefit of Grand Rapids, Minn., and other regions of rural Minnesota. Facilitated a focus-group session convened by the Metropolitan Development Alliance (MDA) of Syracuse and Central New York (since reorganized into the CenterState Corporation for Economic Opportunity) to assess potential strategies for a business incubator in environmental technology. Benchmarked for Butler University (Indianapolis) three peer institutions in the areas of programming for undergraduate research, centers for technology entrepreneurship, and professional master’s and joint degrees. Benchmarked state-university-system policies on intellectual-property ownership and management in 10 pairs of state/public universities, in a project for the Idaho State Board of Education. Benchmarked 14 industrially oriented bioscience research institutes at leading U.S. universities as part of a project for both Carnegie Mellon and University of Pittsburgh to design a joint bioscience commercialization program, then called BioVenture. 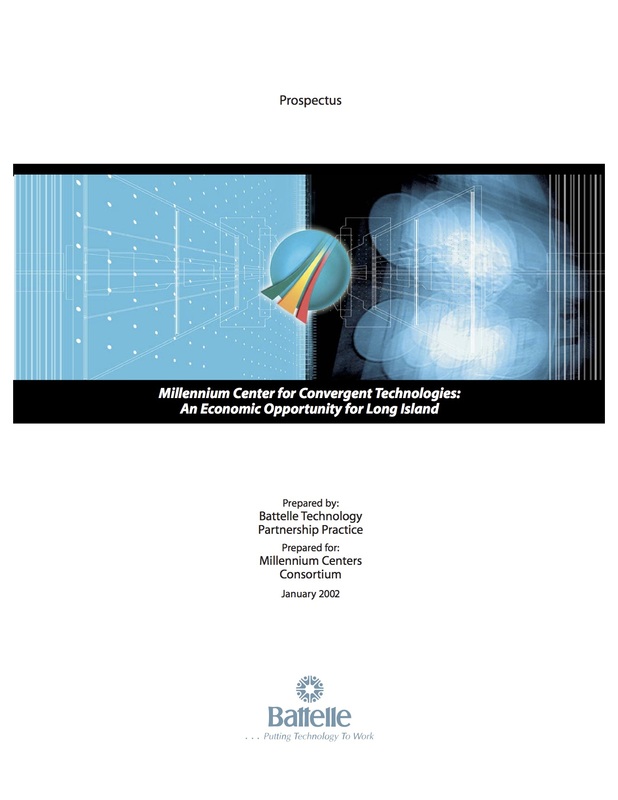 Conducted stakeholder interviews and performed data analysis in support of a project for the Long Island Association to design a series of “Millennium Centers” to knit together Long Island’s research institutions. 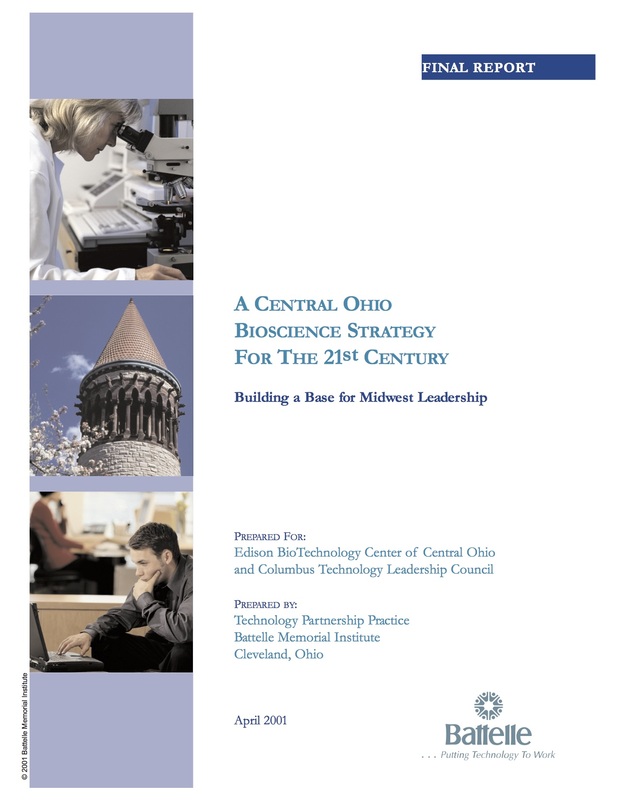 Benchmarked six competing regions with bioscience cluster strategies for the (former) Edison Biotechnology Center of Central Ohio. 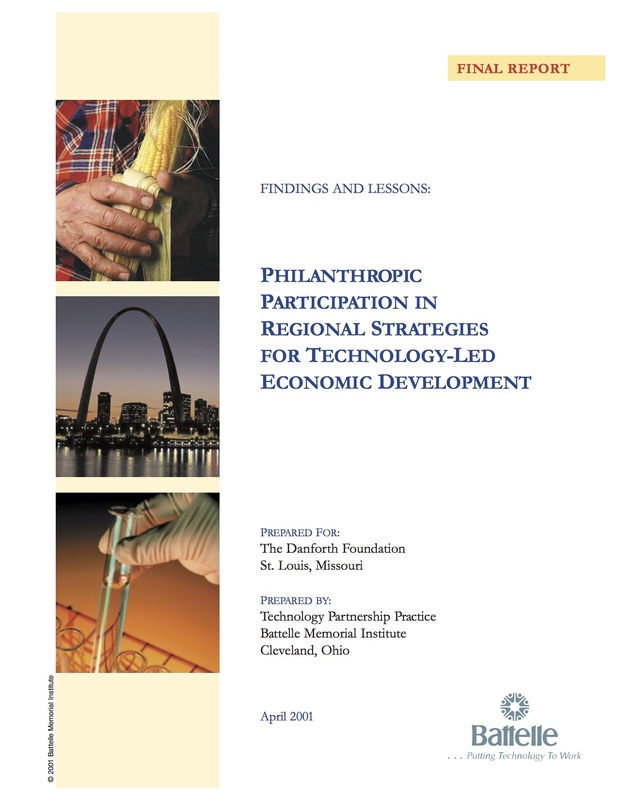 Conducted an in-depth benchmarking of 15 private foundations around the nation and their approaches to regional strategies for economic development, as part of a broader project for the (former) Danforth Foundation. This work underpinned the Danforth Foundation’s sponsorship of the St. Louis region’s strategy for leadership in the plant and life sciences. 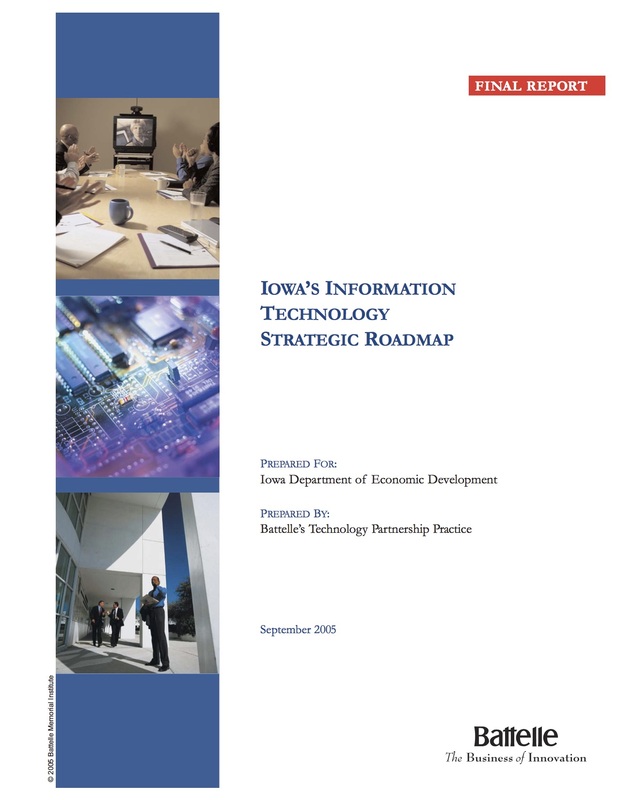 Conducted extensive benchmarking of competitive state and univeristy initiatives in both information technology (2000) and nanotechnology (2005) for the Connecticut Office of Workforce Competitiveness.